The Katadyn 8013632 Mini microfilter replacement cartridge ensures up to 99.9% of bacteria, protozoa, cysts, algae, spores, sediment and viruses are reduced from your drinking water. 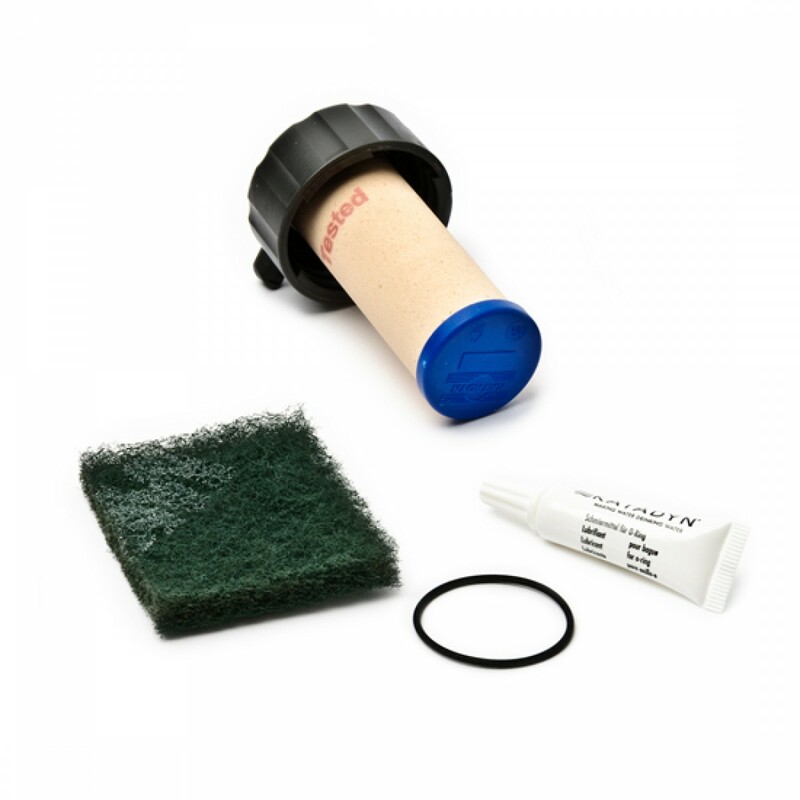 Genuine OE cartridge, packaged complete with o-ring, silicone lubricant and cleaning pad. Order the Katadyn 8013632 Mini microfilter replacement cartridge today. The KAT-FILTER-MINI does not reduce fluoride.